I am a church member, a wife, a daughter, a sister, an aunt, and a teacher. I’m sure you fit many of those roles as well, and the expectations we put on ourselves and expect from others to fulfill any of those positions is mind-boggling. 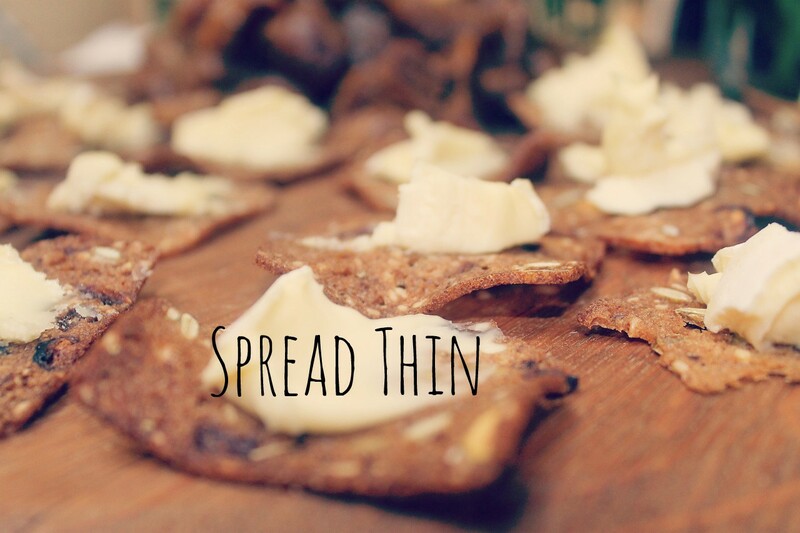 I’m sure you don’t want to read paragraphs of what I do related to each of those, but you can read an article about being spread thin that I wrote for Beulah Girl earlier if you want the juicy details. For now, let’s just focus on the last few weeks of my life as a teacher. Early this year, I added another credential to my resume. Mind you, it doesn’t pay anything, I already have a million badges on my signature line of my email, and I am not changing jobs any time soon. I signed up for this certification because I wanted to. As my husband says, I crave chaos. The certification requires monthly webinars that are supplemented by an overwhelming group chat and social media involvement. The culminating activity of this certification is the ability to earn a trip. I earned that trip to Denver (yay! ), but I volunteered (how shocking!) to develop a breakout session in addition to preparing for the trip itself and bringing materials to present a required science-fair-type board. That’s a lot, so my summer has consisted of one week of preparation for that trip and one week of being on the trip itself. The trip was a wonderful experience, but I am exhausted! Don’t we do that to ourselves as women? We are asked to bring a dish to a party, so we have to bring the best dish. We need an outfit to attend a women’s event, and we have to nail every accessory just to impress other women. It’s VBS time, and even though we don’t have time to think, we volunteer for the biggest, best-decorated room. It’s time for the chaos to stop! God doesn’t expect all the things we put on ourselves. Despite all our ever-running, in Micah 6:8, God tells the prophet that He only has three expectations for him. Maybe we women would do well to take note of these three commandments and center our lives on them instead. It’s only justice when we do it, not just think about it or cry over it. What is God calling your woman’s heart to do? Fight against human trafficking? Fight for the unborn? Fight for your marriage and honor the vows that you know are the right way? Whatever it is, God’s call for justice is an opportunity to align ourselves with the beat of His heart. Let’s do it, whatever it is. Love mercy. I am currently reading almost a 20-year-old book by Philip Yancey, What’s So Amazing about Grace?, where the author gives outrageous examples of God’s grace and juxtaposes them with calls for humanity to show that same grace in the face of horrible evil. I’ve made the point that God doesn’t expect very much of us, but what He does expect can be really hard. Grace has often been defined as God giving us something we didn’t deserve. Mercy works in tandem with such extravagant love — it is when the consequences we do deserve are withheld from us. I can only skim the surface of how many times I’ve broken God’s heart or spit in His face by my actions and yet how many times He has withheld his wrath. Yes, I’ve had to deal with the fallout of my sin, but not to the degree I could have. Our response to God’s many acts of mercy are at the crux of what God expects of women. We are to be the embodiment of mercy. When our children disrespect us, we could yell and reject them, especially if the disrespect becomes a pattern. Mercy says to love them anyway. When friends fail on their end of a bargain, we might feel the need to find new friends. Mercy says to live the golden rule and love the way we wish they could. Will we ever need to dole out punishment? Certainly we will, but greater mercy should be our life’s aim, since it is what will draw people to the cross. Walk humbly with your God. Oh my, so many times in my life I’ve shown false humility on the outside — refusing to pose for pictures, singing quietly or not at all when asked, or playing down my academic achievements. All the while, on the inside, I was fighting thoughts of my own pride, pride in my appearance, my talents, or my intelligence. God knows the difference. I wrote a whole post for Beulah Girl about humility that I encourage you to read, but let me sum it up with this. God wants all the glory, and He won’t share it with us. If we are doing tasks “for God” but secretly doing them so that we can get approval from our husbands, our churches, or the PTA board, they don’t count. If God expects only the three items He outlines through Micah, He expects us to do them well. Let us fall prostrate at the feet of our King and ask Him to take those aspects of our personality or behavior that rise up as competitive idols and help us restore them to their rightful places, at the foot of His cross and recognized as gifts from Him. 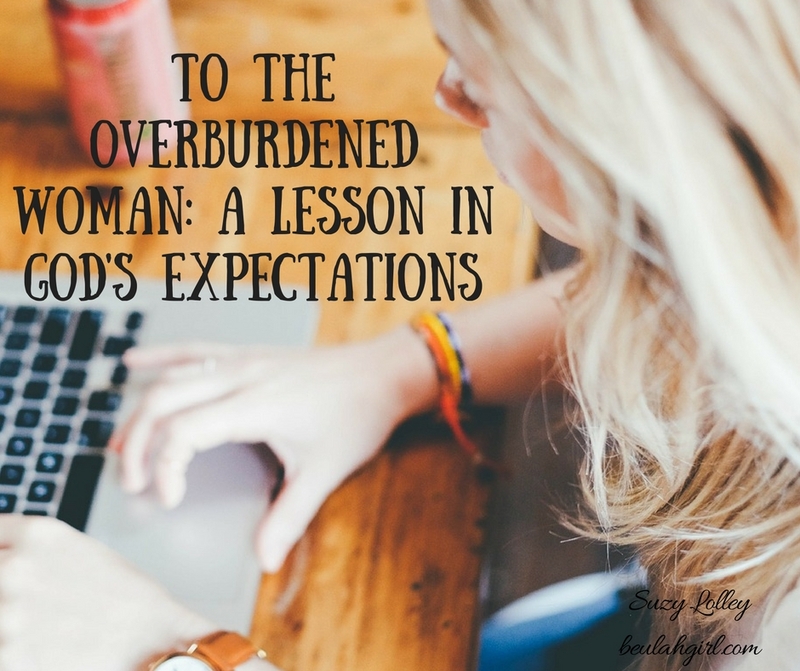 Listen, ladies, if you are struggling with the busyness of life and overwhelmed by your own expectations, it’s time to pick up God’s goals for you instead. And you know what? I’ve heard He has a pretty easy burden, one that’s worth the trade for our impossible one. If we will just fall in love with Jesus, we will naturally embrace justice, adore mercy, and humble ourselves. Because we always become like the ones with whom we spend our time. Would you like prayer about God’s expectations of you? Do you feel overwhelmed? Feel free to leave a comment below, and this team will hold you up to the Lord.